Palo Alto was completely Dean’s idea. I’m going to be honest and say I know close to nothing about tech things in the US and I had never heard of Silicon Valley until a couple years back when we met our investors who were from there. I’ve obviously been very sheltered because this town is where all the tech billionaires like Sirgey Brin and Larry Page (Google founders), the late Steve Jobs (Apple), Mark Zuckerberg (Facebook) and so many others that I need to do research about. Haha. 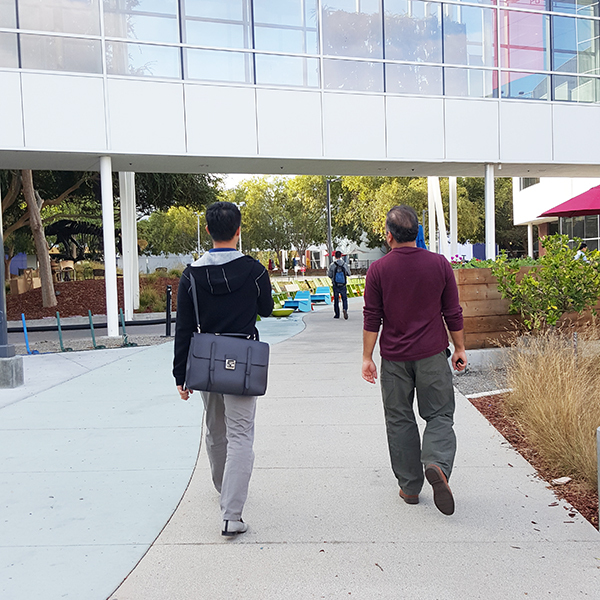 Anyway, we were lucky enough that our investors lived there too so they took us on a little tour, but before that we had lunch at the Google office in San Francisco. 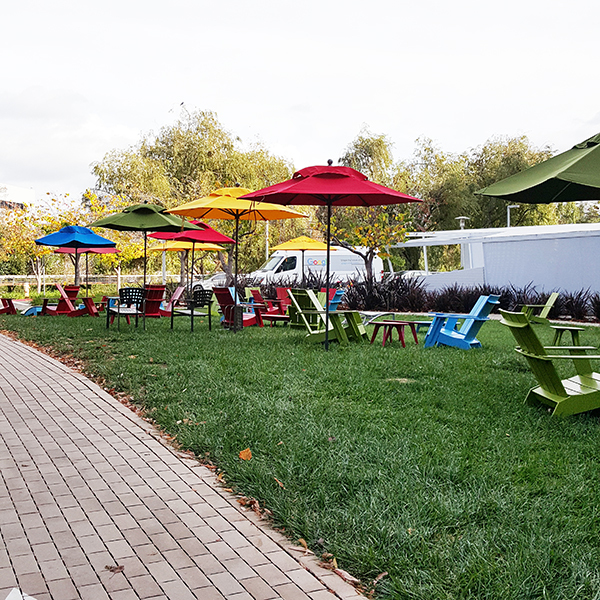 It was an amazing opportunity because we’ve heard so much about the awesome work culture at Google and the infamous free food for everyone culture. To see it firsthand is pretty cool. I couldn’t take any pictures which is a big boooooo, but I did take a picture of their view which you can find in my previous post. Simply breathtaking. Lunch was…. ok, pretty funny for me because even though you can take things for free, everything there was super healthy; they have like 20 different kinds of salad, and their soup was some bean soup, and their dessert was a cookie. I couldn’t eat their meat either (there was some delicious looking beef, sigh) because it wasn’t halal, so for lunch, I literally had 2 cookies. For someone who doesn’t eat vege at all, I’d suffer in California because they loveeeeeee eating clean and all their salads. Anyway, that was the office in town. 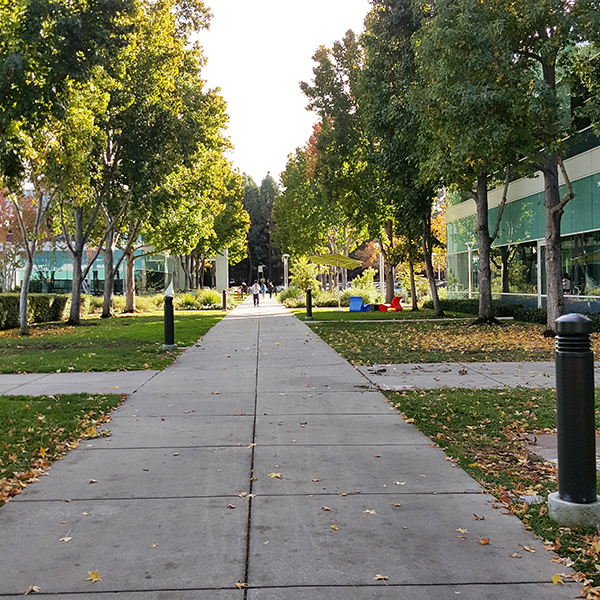 The one people want to see is the Googleplex in Mountainview near Palo Alto. I expected to see one big building that says Google on it, but it wasn’t like that. It turned out to be a huge town with lots of streets and people on bicycles, and lots of smaller buildings. 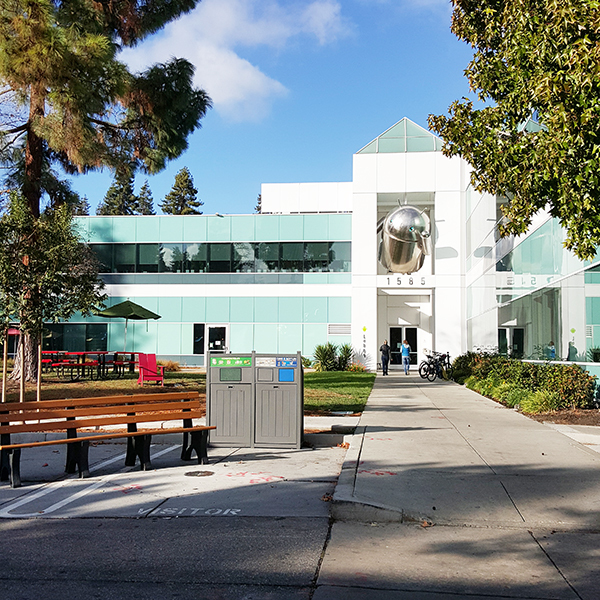 There were like over 20 Google buildings there, each belonging to individual departments like Google Maps, or Android, or Instagram etc. There was nothing else there so I totally understand why it would make sense to provide food for their staff, because you would’ve had to build restaurants and cafeterias there anyway. There was nowhere else to go. It was such a beautiful place to be at because the streets were pretty and the weather in SF is amazing all year long. Sunny but cool, so so nice. If they had something like this in Malaysia, none of us would go because we would be leaving trails of sweat along the streets. Every corner was so well thought, from the recycle bins (they’re big on recycling there!) 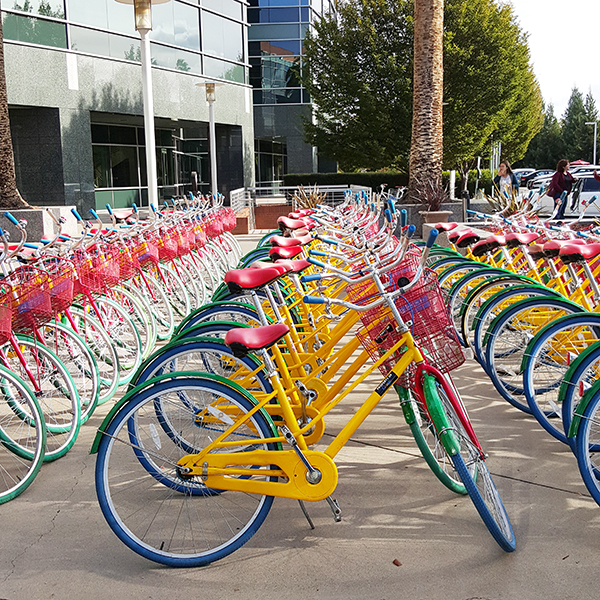 and the colours of Google were everywhere, even on their bikes! These bikes are free for anyone to use, even non-Google employees if they’re visiting etc. Clearly this place is not a place for heels, so don’t even bother looking pretty or dressed up. Everyone there was in sweater, backpack and sneakers, mostly. 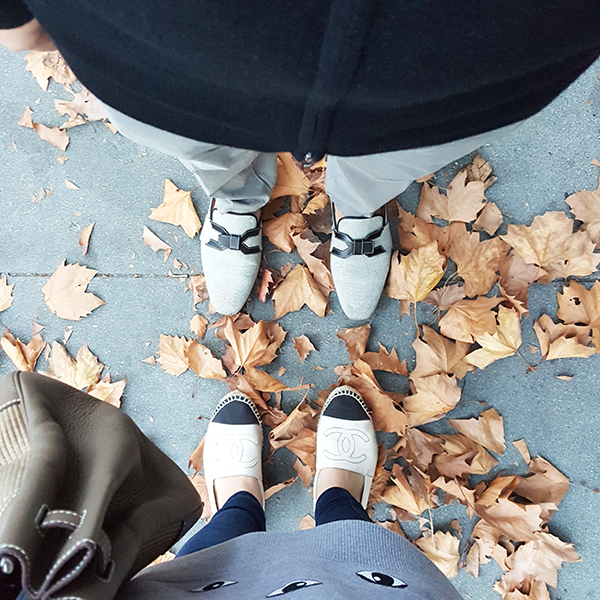 Dean and I came prepared in our comfy shoes and sweaters. We needed to fit in, haha! A truck to cut employee’s hair! 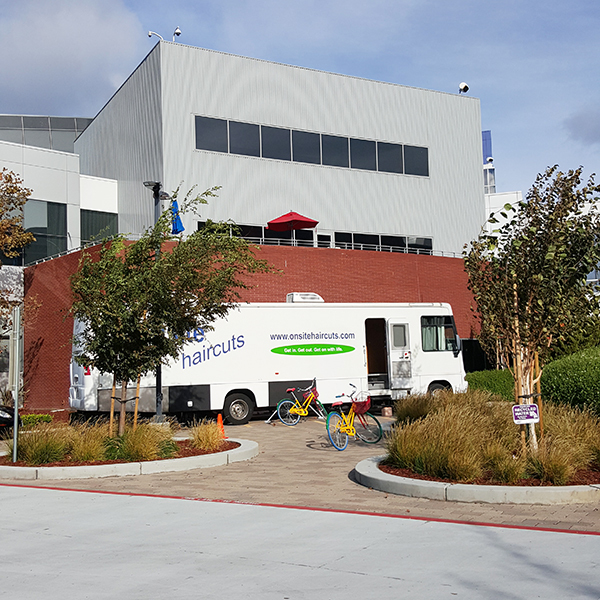 So Google likes to call in services to come for their employees like massage trucks or haircut trucks or even food trucks. The idea is to give perks to them, but also minimise their time going out so that productivity at work is also improved because you don’t waste time moving around so much. So smart! 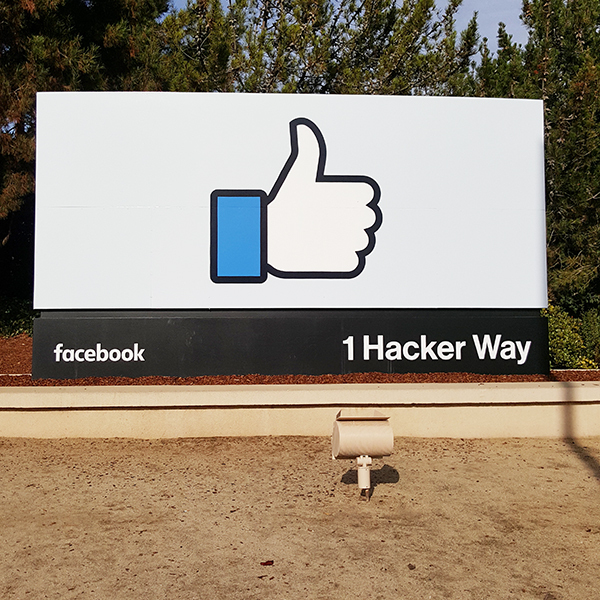 Then we visited Facebook but couldn’t go in because it was a much more closed campus than Google was. 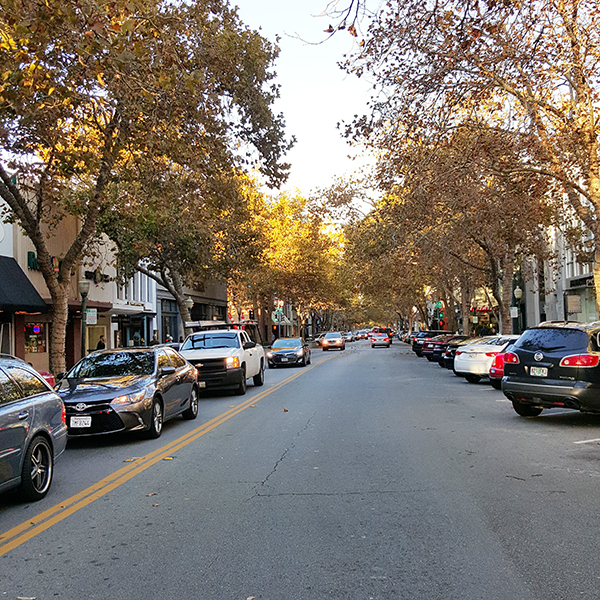 We walked along the neighbourhoods of Palo Alto and their main street which was this. So beautiful but so down to earth as well. 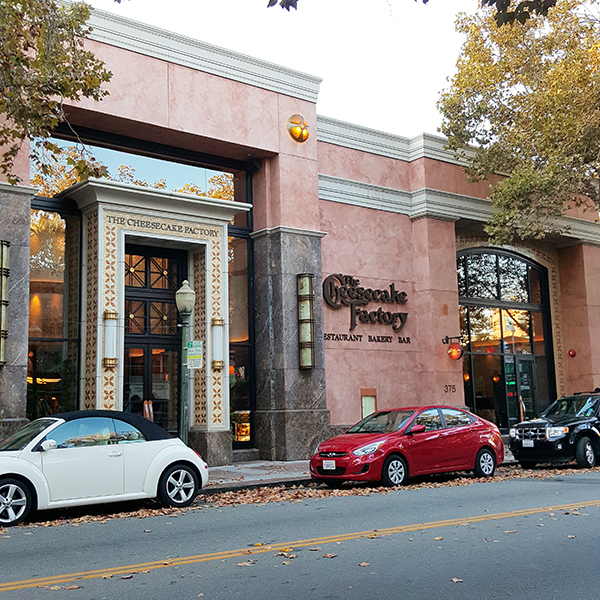 So excited seeing a hugeeee Cheesecake Factory! Penny, you there? It’s Steve Job’s house! (or former house, not sure if his family still lives there) It was pretty cool that our investor lives in this neighbourhood so he knew who lived where and all. But this one I had to share. 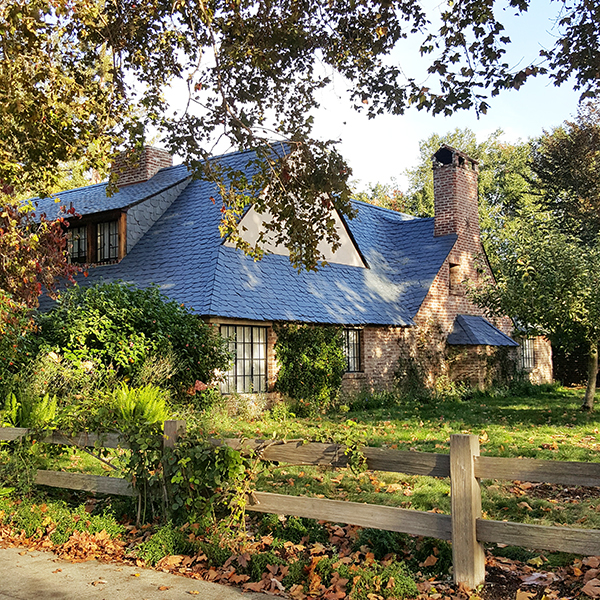 Steve Jobs was always in a black top, who knew his house would be blue? The interesting thing was that his house wasn’t even one of the biggest ones in that neighbourhood! The houses there were big but honestly not nearly as big as the mansions you see here in KL. Property there is very expensive, even a small bungalow costs tens of millions. Clearly not for the faint-hearted, Palo Alto. All in all, it was an eye-opener going there and seeing the work culture and lifestyle at the world’s tech city. I expected machines and snooty people just at their laptops, but actually despite billion dollars of funds going in and out of that city, people are just so down to earth there. I did not find even one Lamborghini there. The guy we had lunch with actually sold his startup a couple years back for a hundred million dollars, and yet, he was in Google typing things on his Macbook at a desk next to other people. Working hard, like everyone else. It was amazing! If this was us in Malaysia getting a hundred million dollars, we’d start wearing sunnies indoors with an entourage everywhere we go, 4 bodyguards, 4 maids, 4 cars, 4 wives. Hehe. Can’t generalise of course, but it seems like over there everyone is so independent. They drive themselves, they pick up their children from school, they cook dinner with their wife, they do house chores when they come home from work. And they all looked so happy! Puzzled, I asked our investor, “Do people here just not like to enjoy their money or something?” And he replied, “Of course we do, but maybe on other things like travel. Here, money is great but it isn’t the sole motivation. People are passionate about their ideas, their startups and even if you’re rich, you’d work because what else is there to do with your time! And if you start showing off your wealth, people look down on you.” So, it’s very much a society thing that dictates your behaviour. 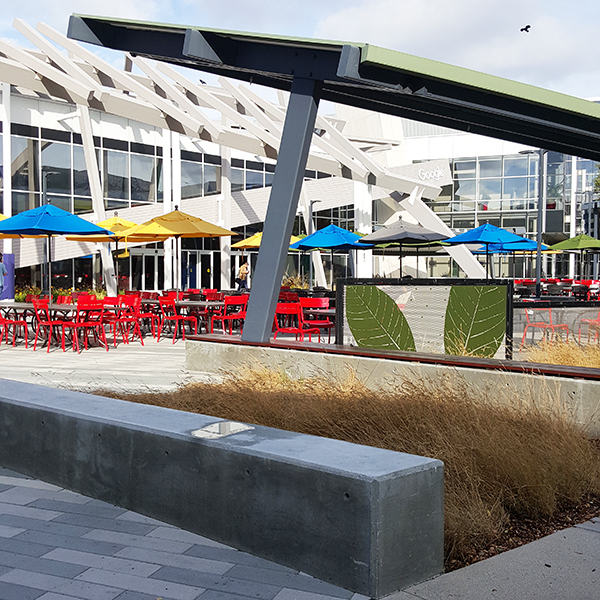 I also saw beyond the free food and fun culture at Google and traced back why they have to offer all that. Talent, especially developers, is so hard to find, they said. So in order to retain talent, they need to add extra perks to make sure people don’t leave. So many tech startups are there and people are always fighting for the best people, so companies need to start offering something more than just mere salary (since money isn’t the sole motivation, people want to be happy in other ways too). It’s a very competitive world, especially over there, and a lot of companies lose out to Google because everyone wants to work at Google. Google gets the best people because they can afford to, and it kind of kills off the small boys in the tech world if they don’t offer the same or more. Reality bites, huh? So this was my experience there. Of course it’s just my opinion and observation, you might have a completely different one if you have visited too. Do share! Thanks for sharing with us about that tech-city miss Vivy. It’s really amazing. absolutely love the ppl, culture & environment there. 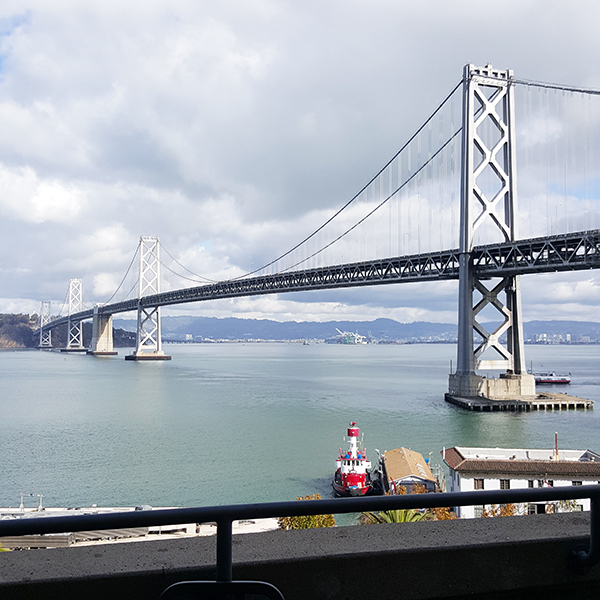 how i miss SF! i wouldnt probably even consider going to palo alto for a holiday but for a once in a lifetime experience i probably would out of curiosity. thanks for sharing this! lovely pics! I agree it is competitive but all of us have different career goals. At the end of the day it is very competitive within Google too. 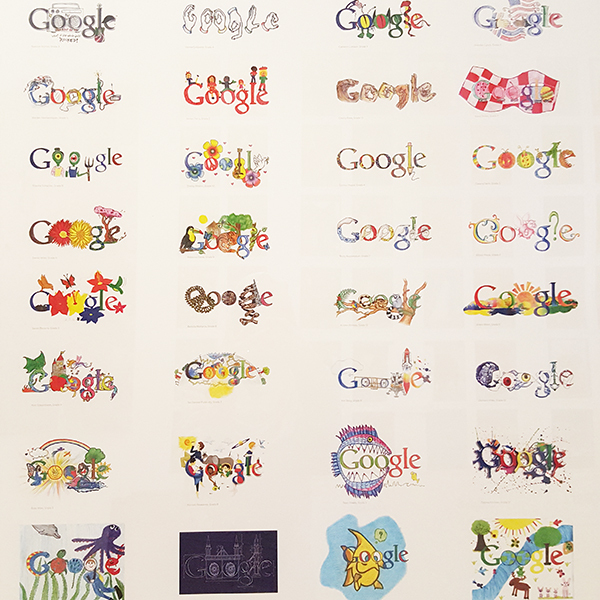 So if the career environment is not suited for an individual (say job challenges, learning opportunity, expertise knowledge) within Google, they would always look for new (ie new startups – to face the challenge of driving it to be the next big thing). Thats why these folks has such great mentality to life – not just about materialistic stuffs but beyond that, being happy, simply. Thanx for sharing! Very informative post. Pls share more. Never heard of Palo Alto before. ..reminds me on ‘the internship’ movie! Love everything about this post. It’s so admirable how they work and think and live. Can’t generalize lah obviously but for your investor friend at least, that’s amazing. Well I only seen these on The Internship movie. I loved the culture ever since! I really wanted to work with these kind of company and indeed if you treat your worker nicely you will get loyalty in return. I really hope that you will success in everything you do, Vy! 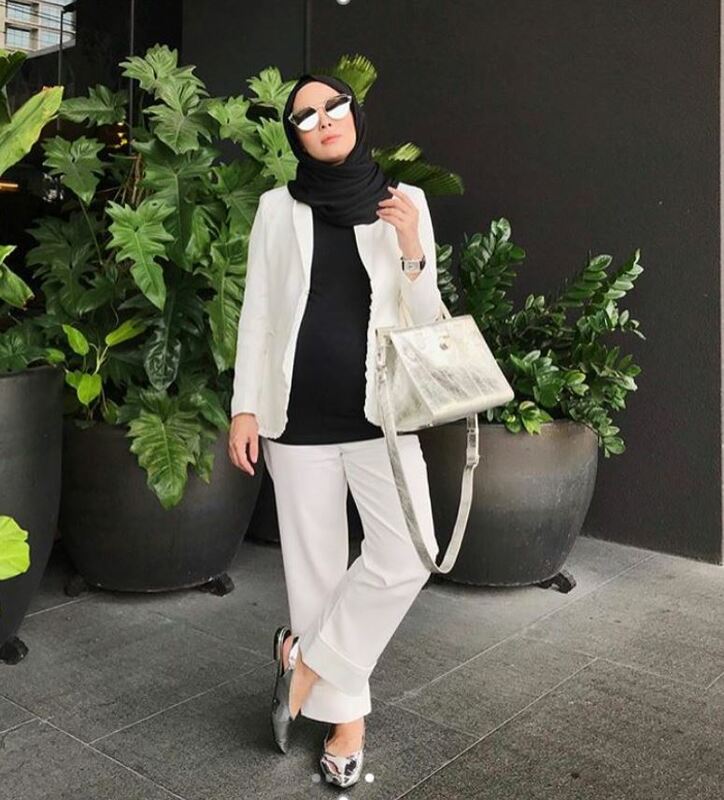 Salam Vivy, thanks for sharing. The work culture is very amazing.. no wonder they can come with great ideas without the pressure of thinking what is the latest car model i should buy or what are other fancy things should i catch after this.. haha..
Just to share, i have been to a rocket city in Baikonur, and again everything are so down to earth over there. Not as what i expected in the first place. Most of their buildings and houses are made from woods or just normal blocks. Of course no high rise building there because that is the place where rocket launch. They still preserved all the histories related to space ie Yuri Gagarin house before his journay to space via Sputnik. Love the idea of being modest and down to earth eventhough if the individual rich enough to buy 10 bungalows in klang valley..hihi (general statement here..). Our beloved Prophet Rasullullah (Peace Be Upon Him and His Family) lived in modesty. Also all the Khalifahs and Previous Islamic Rulers (Salahuddin Al-Ayubi) lived in modesty. nice experience and thanks for sharing! 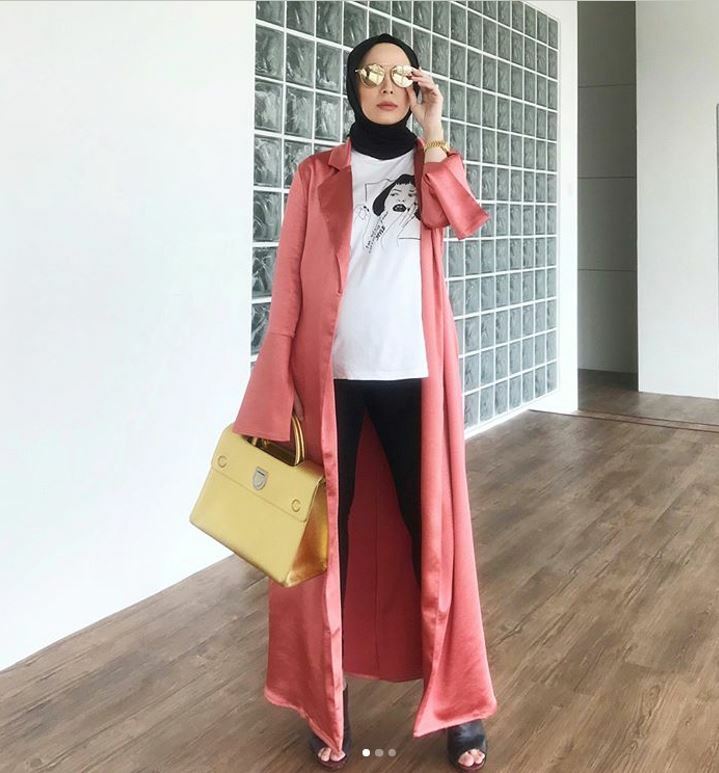 amazing post, vivy! very inspiring to know that even in a city where arguably the smartest and richest people on earth live, money is NOT the number 1 reason for happiness. that is awesome!! Really wonderful to live in a humble and modest society. So much of what Islam teaches us. Most of the non-Muslims have the qualities of what Islam teaches us to be.. Hopefully, as Muslims we will also follow whats good. And hopefully society in Malaysia will have the thinking of people there, insyaAllah! Salam Vivvy, have always wanted to know how the environment in Google office. Everything seems super-cool over there, no wonder they have such high spirit staff. Conducive environment and productive staff= Efficient Work. Hope to hear your stories on Silicon Valley (met one investor back in Msia, had always Google Map the valley, pretty sad huh)! 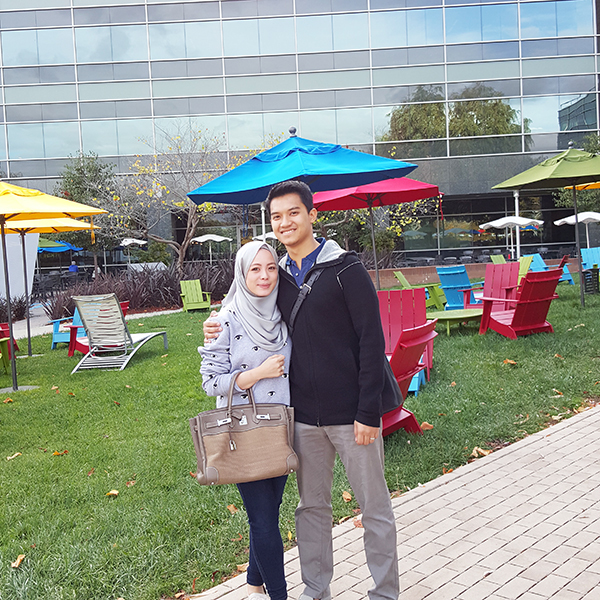 I’ve not been to the Google office in the US, but I have been to Google Malaysia. In terms of space, it’s sooo different, but I could somehow sense the Google USA culture here in their Malaysia’s office. Oh, and they have free magnums too. Win! i’m a teacher and last year i got to visit one popular publishing company’s office in OZ (educational materials). when you mentioned about how down to earth everyone is there, it reminded me of my visit there. the owner picked up our luggage by himself. sent us back to our hotel on his own and even the working culture there pretty much resembles the Google office. to me it’s very Islamic ☺️. What a lovely post! I’m so in awe at their salad-eating, recycling, cycling everywhere, down-to–earth culture!!! Love how they value substance & aren’t bothered about showing off their wealth! steve jobs had his hands on pixar in awhile. he even made the building for pixar campus. 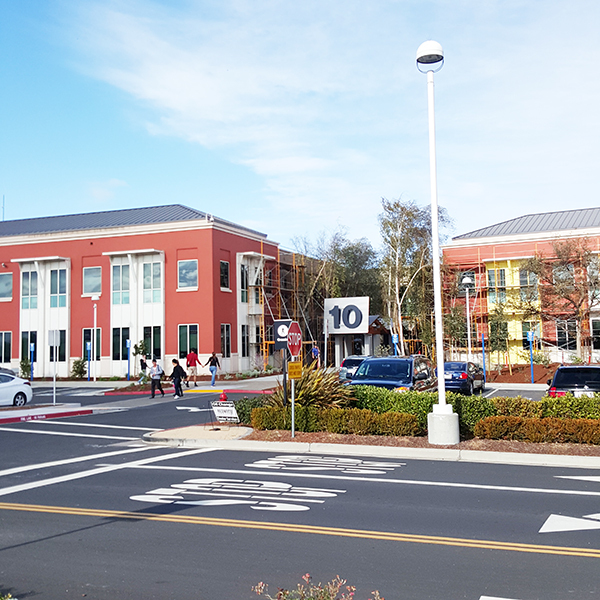 it’s now called the steve jobs building in dedication to him. i guess in theory he had childlike side. even though his slick and clean image on apple. You should watch Pirates of Silicon Valley 🙂 interesting movie about the founders of Apple, Facebook, Microsoft etc. Cities that are usually ‘liveable’ and fun to live in are filled with people who are humble and down to earth. People in these places don’t value (and some even look down upon) expensive cars or handbags or mansions. They value kindness, respect and good morals. Unlike where we live, where we treat people who show off as if they’re Gods. I lived in Melbourne for a bit and i’m ever so grateful for my experience. My Aussie friends taught me that life is not about money but having a great, humble and laid back lifestyle.